Steve is the chief executive officer of the M.J. Murdock Charitable Trust. He is responsible for all programs and activities of the Trust. 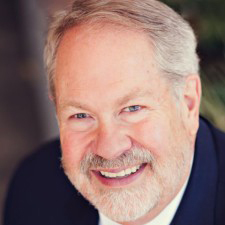 Steve joined the Trust in 2006 after serving in senior leadership positions at Asbury Theological Seminary, Baylor University, Seattle Pacific University, Texas Tech University, and Texas Tech Wesley Foundation. He received a Ph.D. from the University of Michigan and is a widely published author and frequent speaker at colleges, universities and conferences.